The Apple iPad is officially available in Saudi Arabia. 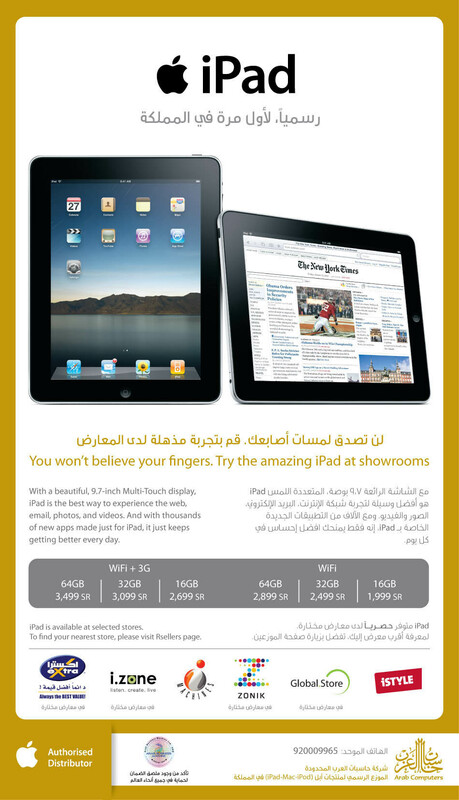 Arab Computers has posted on their website announcing the availability of the Apple tablet in the Saudi market. This came one year after Apple announcing the iPad. The iPad is available at “selected” stores, the Arabic ad said “exclusively” which is odd, these stores are: iStyle, Global Store, Zonik, iMachines, i.zone and Extra. Some of these stores, such as Extra and Zonik, were selling unofficial iPads in the grey market. Will the warranty cover these units? 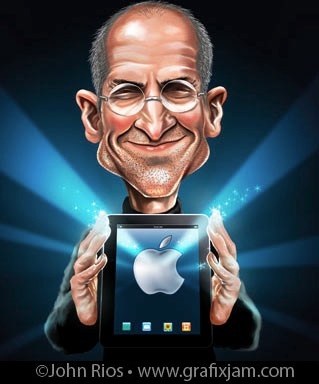 Apple is expected to release the second generation iPad 2 in April. Will you wait or buy it now? Apple’s Saudi Arabia website was updated to include information about the iPad. We are still waiting for Mobily who announced that they will release the iPad. The price for the iPad in Saudi Arabia is cheaper than the UAE and local importers. ca you get one for me?